Let’s take a look at the most niggling challenges for sports broadcasters nowadays. A recent study from PwC showed that what keeps the sports industry up at night is the shift in consumer behavior of younger generations and the access to alternative entertainment formats (online movies, series, and gaming). With the likes of Netflix investing USD 8 billion in 2018 in original content and the rise of gaming and esports, competition in the entertainment space is stiff. But another alarming shift in consumer behavior is the decreasing willingness to pay for sports content. A study from SMG Insight shows that 54% of ‘millennials’ make use of piracy to watch sports events, combine that with the increase of illegal streaming options and the sports rights holders and broadcasters got a real big problem. 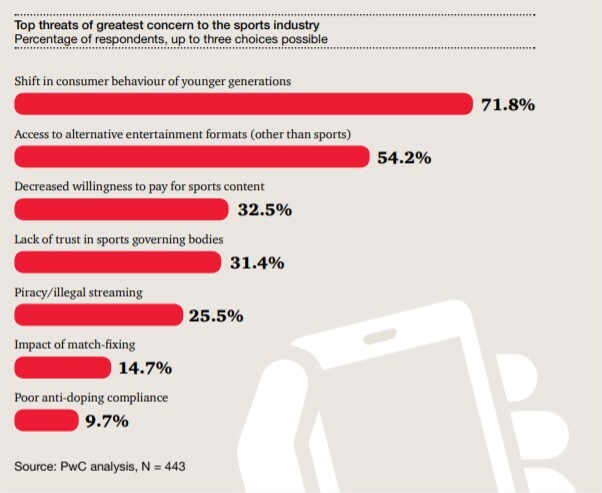 More than 25% of senior management in the sports industry believe piracy and illegal streaming to be their biggest threat in the industry (source: PwC). We have to admit that although terrible news, it’s certainly not shocking news. We all know that piracy has been taking place, and we’ve been used to it for a long while now. The problem is that the sports industry has reacted slowly to the problem. Viewing sports is only appealing to the audience when it is live, in other words, it needs to be streamed, rather than downloaded. Illegal streams used to have poor picture quality and other internet related issues, but the emphasis here is on ‘used to’. Tools that can facilitate streaming can nowadays provide HD quality and are easy to use. The other reason is that the group we referred to earlier, ‘the millennials’ are also getting bigger. As the demographic gets bigger, so too does the problem. Set up sound security measures to protect your content. Proven measures are for instance watermarking and session control. Watermarking is as the name implies a watermark that you show somewhere on the screen. You can either share a unique code (perceptible or imperceptible) containing a reference to the owner of the account or even a short message with the name of the account owner. Apart from discouraging and preventing the fraudulent behavior, the watermark would also offer the ability to identify the owner of the account, when the owner would foolishly decide to screencast the broadcaster’s content. 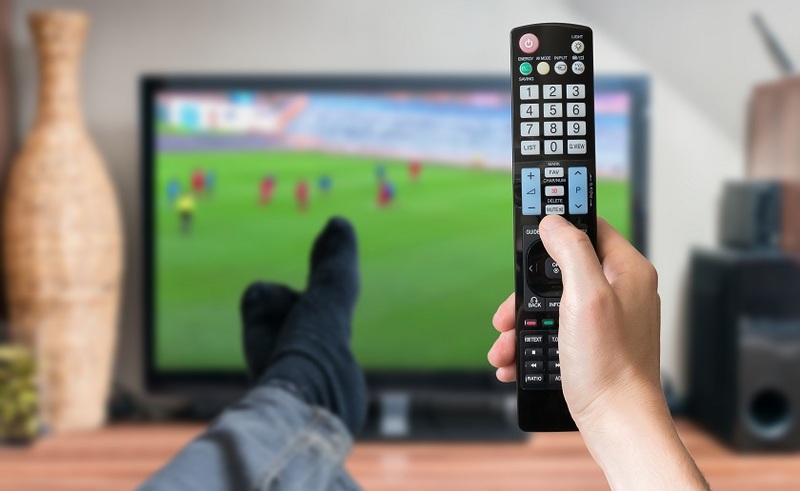 In addition to watermarking, a sports broadcaster can add session control, which helps them manage to limit devices connected from one account and track suspicious behavior. Offer premium content with a seamless user experience for an ok price. It’s much easier to stream a LaLiga football game on a legitimate app than to go looking in the dark corners of the internet to find an illegal streaming option. It’s only when the legal option is more convenient than the illegal one that most people seem keen to pay up. If you are heading to Sportel Monaco this month, don’t miss the opportunity to meet us and get an update of our progress with video security. Visit us at Booth A70 or book a meeting.